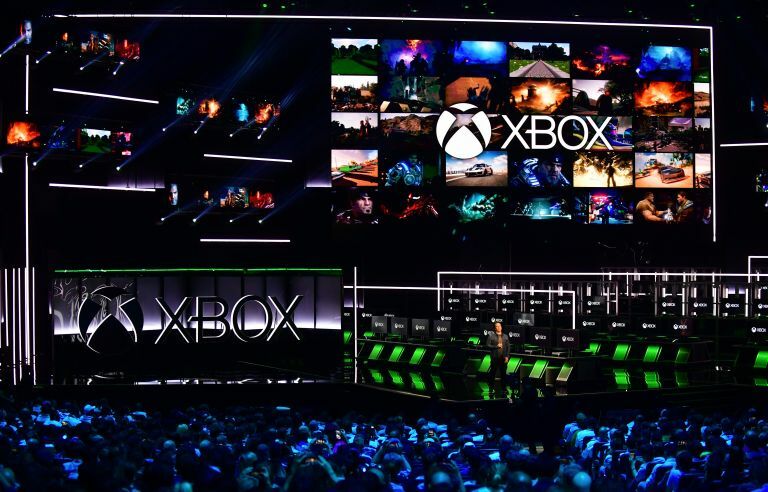 Microsoft is set to release not just one Xbox Two console under its Scarlett next-gen gaming program, but two separate systems in a bid to outflank Sony's next PlayStation, the PS5. There will be a traditional lead Xbox Scarlett console, which will be the next Xbox flagship device and will come packing powerhouse internal hardware, and then there will be a secondary streaming-centred console tailored to work specifically with Microsoft's upcoming game streaming platform, which is reported as being referred to as "Scarlett Cloud". And, what's more, both Xbox Scarlett consoles, as well as the Scarlett Cloud game streaming platform, are slated to launch together in 2020. The dramatic news that Microsoft will release the two Scarlett next-gen consoles as well as its Scarlett Cloud streaming service in 2020 comes courtesy of a detailed and revealing report by tech reporter Brad Sams - who has a bullet proof track record on reporting on Microsoft and Xbox-related news and leaks - over on Thurrot.com. "First, Microsoft is building a traditional console that you would expect from the Xbox brand. As for specs for this device, that’s still not known at this time. But what I am starting to hear more about is the second device, a streaming box that is designed to work with the company’s upcoming game streaming platform. The second ‘console’ is a lower-powered device that is designed for game-streaming." The next Xbox consoles are reported to work with Microsoft's upcoming "Scarlett Cloud" game streaming service. Could this be an evolution of Xbox Game Pass? Why would Microsoft release two consoles together? Simple. Microsoft typically doesn't make any money on the gaming hardware it produces, but where it does make money is in terms of software and, crucially, gaming services like Xbox Live and Xbox Game Pass. As such, by heavily investing in next-gen cloud streaming technology, and then creating not just one console that can make use of it, which has a traditionally high cost associated with buying it due to its powerful internal hardware, but also a second console that is dedicated purely to playing games via streaming, negating the need for expensive internal hardware, Microsoft can both remove a financial barrier to entry for gamers and potentially make more money itself. Phil Schiller said the next Xbox console, referred to as the Xbox Two and Xbox Scarlett, would "set the benchmark for console gaming". Up till now game streaming has been limited by both infrastructure and technology, specifically in terms of its ability to handle latency sensitive aspects of gaming, where any sort of lag at all would ruin the experience. As the Thurrot report notes, though, "Microsoft thinks it has figured out how to handle the latency sensitive aspects of gaming [and has] become quite confident in their streaming solution." And, considering that whispers of a shocking PS5 surprise release before the Xbox Two in 2020 have just surfaced, with Sony rumoured to be potentially running a covert operation that runs contrary to PlayStation boss John Kodera's comments that there will be no new PlayStation console until 2021, it tallies well that Microsoft would be looking to fend off the next PlayStation threat with a double volley of its own. Microsoft's flagship Xbox Two console will be designed to compete directly with Sony's PlayStation 5 system, with it loaded with powerful internal hardware. One flagship Xbox Two console to compete directly in terms of internal hardware to the PS5, which is set to be a technical juggernaut, and a second streaming console perfectly positioned for gamers looking to play the latest AAA games but without the expense involved in running the titles locally? That would be a potentially console generation winning manoeuvre by Microsoft, and one that providing Sony don't pull off something similar, such as releasing the much-rumoured 5G PlayStation Portable along with implementing digital game sharing technology, left out in the cold. Is this the PS5 you would buy?